Address vehicle concerns before the winter weather hits. Although winter doesn’t officially begin until December 21st this year, don’t be surprised if the weather has other ideas and arrives a little sooner. With that in mind, you may want to ensure that your vehicle is ready for the adverse road conditions ahead. To help you know what to look for, check out these top causes of car breakdowns in winter. 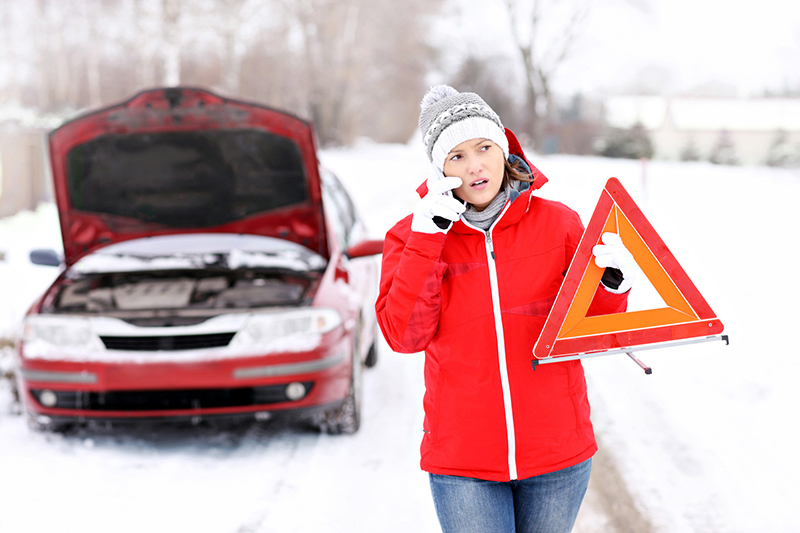 Without sufficient antifreeze, freezing temperatures can have a fatal effect on your engine. Consult your manual and replenish the antifreeze before the cooler temperatures arrive. There’s no sound that motorists quite hate as much as the sound of the battery ticking over and not starting. Your car battery never works harder than it does in winter, what with the heating on full-blast, de-misters working overtime, and headlights constantly on. Have a garage carry out a health check on your battery to ensure that it is going to be up for the task. Roads in winter can be slick with oily water, snow or ice. It is incredibly important to retain good traction and keep your tires in good condition throughout the winter. If your car’s tires are balding or have significantly worn areas, you should replace them before the winter. If your area experiences a large amount of snow and ice, it may be worth getting winter-weather tires that are specially designed for driving in snow. While accidents (unfortunately) happen year-round, the frequency of minor accidents increases significantly during the winter. This is largely due to the reduced visibility, darker nights and mornings, adverse weather, and slippery road conditions. Motorists should be aware that ice, snow, and rain on the roads increase their stopping distances. The best way to stay safe is to slow down, be seen by other vehicles by turning on your headlights, and leave plenty of room between you and the vehicle in front so that you can stop safely. Check out how to handle a car accident.